Product prices and availability are accurate as of 2019-04-24 01:55:46 UTC and are subject to change. Any price and availability information displayed on http://www.amazon.co.uk/ at the time of purchase will apply to the purchase of this product. 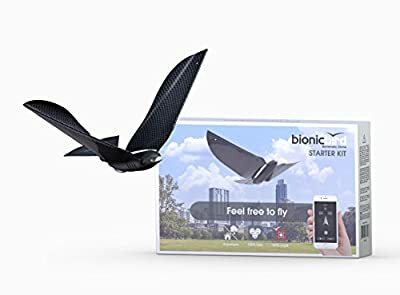 It is harmless and bio-mimetic, you will experience a feeling of flight Unique and elegant with Bionic bird. 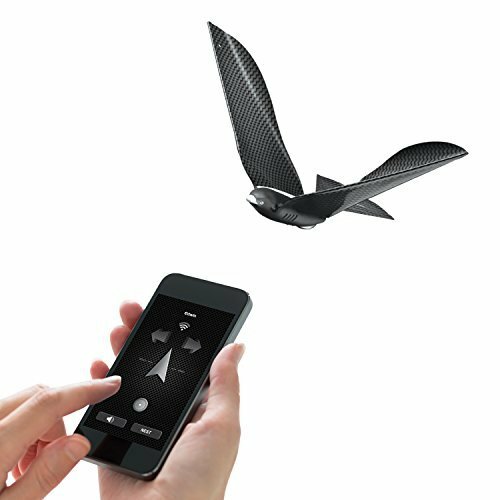 Controlled by your smartphone with a simple movement of the hand, the bird will be in the ground with a of the wings to the sky friends birds. 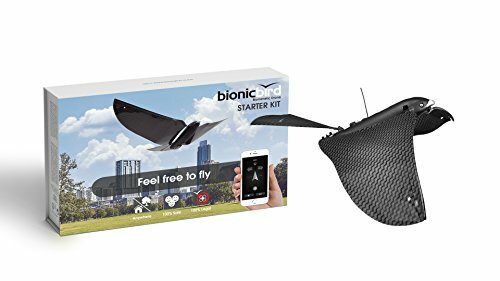 Bionic bird can now fly everywhere, even in the salon Semi stationary, or even above the crowd. 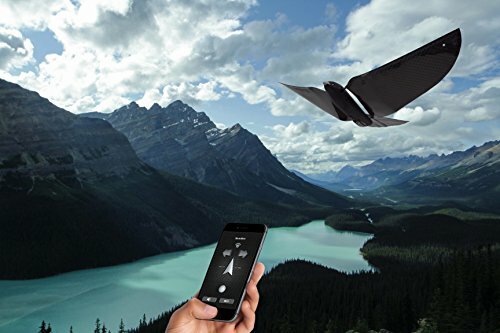 At the forefront of technology and easy to use, this 9g drone controlled by smartphone (Apple, Android) via Bluetooth, can go up to 100 meters, and fly for big 8 minutes without interruption to 18 km/H. 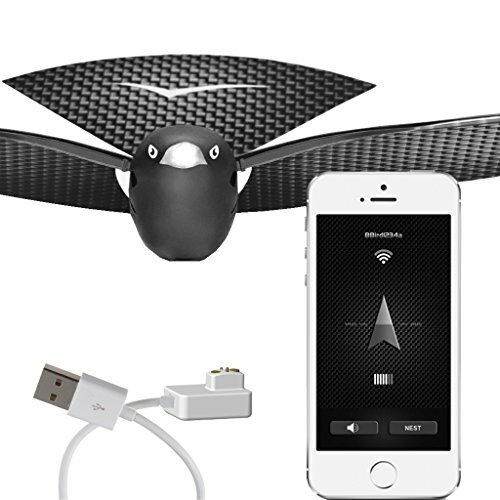 When Assembled box Starter Kit includes: -1 bird ready to fly (clipper The Wings To the body) -1 "lests adjustment" kit -1 USB Cable with Adapter to charger the bird from a computer or the Sector Thanks To Your Phone Charger compatible with: Apple iOS 7 or au-delà. iPhone 6 Plus, 6, 5S, 5 °C, 5/iPhone 4S), iPod Touch, iPad Air, Mini, 3rd & 4th Gen). Compatible with Android: Android 4.3 and above.